Suzie Ivy went to the police academy when she was forty-five years old and became the first female officer in her small town. 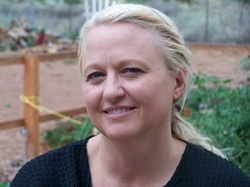 She writes about her adventures and sometimes unorthodox policing. Laughter, family and animals make her life complete. She writes to stay sane during her hectic insane midlife exploits. It doesn't always work. 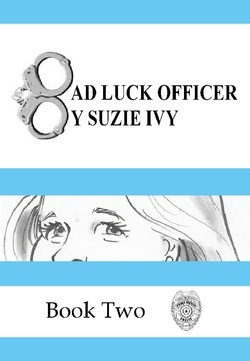 A broken hip and a mid-life crisis landed Suzie Ivy in the police academy. The Bad Luck Cadet is Gunnery Sergeant Hartman, from Full Metal Jacket, training both Thelma and Louise wrapped up in one five foot three inch package. The test of wills begins, but who will survive? Suzie’s graduated from the academy and is ready to start her career as a certified law enforcement officer. Or is she? Join the laughter with maybe a tear or two thrown in. Meet the people of Small Town who don’t know what to think of their first female officer or her forty-five year old philosophies. Dead bodies, old ladies who don’t obey the law and a stubborn blond who makes them toe the line; it’s all about the fun.